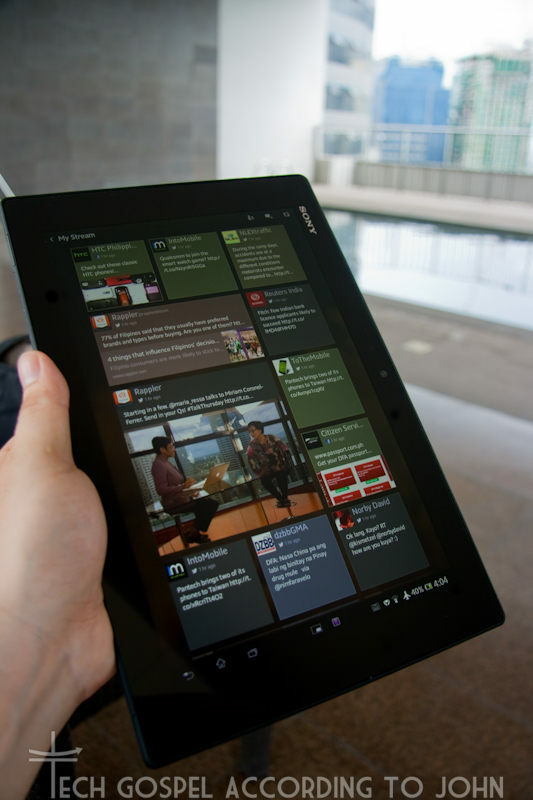 Their current flagship in their tablet line, the Xperia Tablet Z. An impressive piece of design. Now the specs are equally impressive, but the first thing that grabs you is the jet-black glossy screen. Something about it just draws you in. Reminiscent of Sony's Bravia TV line, it commands attention. The next thing you notice is how thin the thing is. 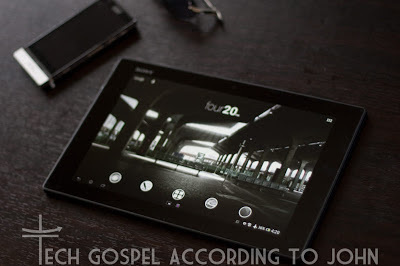 Now most of you, have read the past reviews as this tablet has been out in other countries for several weeks now. But it's something else when you actually hold it. It's THIN. Just as a point of reference, the current iPad is 9.4mm thick. 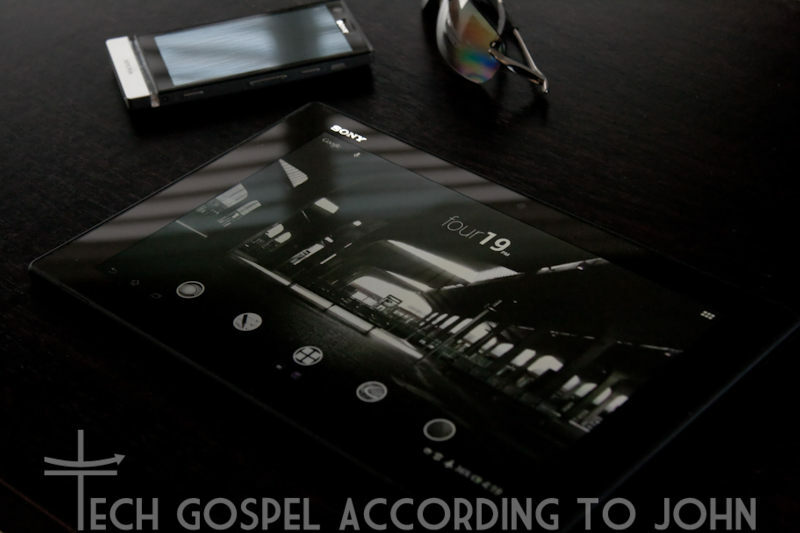 The Xperia Tablet Z is 6.9mm thin. "It's about 27% thinner!" To paraphrase a certain Apple Design Chief w/ a British accent. Not only has Sony managed to slice this tablet thinner than the rest, it gave it a very under appreciated feature. An IP water/dustproof rating! Which basically means you can get this thing wet and it won't complain. Up to 1m under fresh water for 30 min. Take note, that's FRESH water. Beach goers, the salt water won't damage the internal circuitry, but it will corrode the external contacts and may scratch the screen. If you happen to accidentally get your tablet wet with sea water, wash it down with fresh water ASAP. I think the cover flaps are the most annoying part, but necessary to maintain the waterproof nature and have expansion slots (SIM, micro SD). But was a SIM tray really unnecessary?!?! WTF?!?! In case you didn't notice from the photos, my UI doesn't look like Sony's UI. It's not. 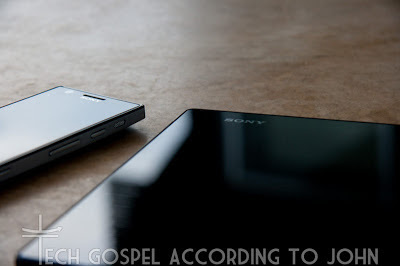 Although Sony does the least objectionable modifications to Android (Other manufacturers are just ruining Android with their horribly coded skins) it still causes slight lagging. I've been on Apex since my X10 Mini Pro days and have found it to be a very good launcher. Now, don't get me wrong, Sony's Home Launcher isn't bad. And it actually has a few advantages. The Walkman and Weather widgets of Sony don't work on anything else. 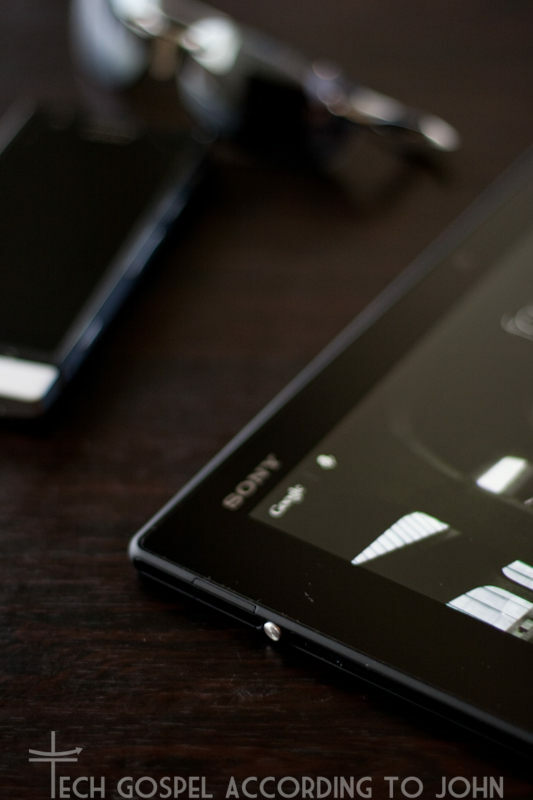 So if you like those widgets, you may want to stick with Sony's UI instead. But I prefer designing my own UI layout, so I opt to use a 3rd party Home screen. LTE will be dependent on your provider, but so far, it's pretty good. That will be for another review when I compare the local providers. So, what are my initial impressions? This is one excellent tablet. It has the right balance of power and design. Quite in line with Sony's "OmniBalance" design ethos. This is a very good come back product for Sony. And worthy of the "Z" flagship designation. That's it for my initial review. I'll be going in depth with this tablet in the days to come. Follow me on Twitter or Facebook for more technology tips and news!